Learn what targets recovery audit contractors have found most enticing. The Recovery Audit Contractor (RAC) program may have gotten off to a snail-like start, but there is nothing slow about contractors’ current rate of recovery. According to a recent status document released by the Centers for Medicare & Medicaid Services (CMS), total overpayments collected by RACs more than doubled between the fourth quarter of 2010 (when nearly $76 million was collected) and January to March of this year (when $162 million was recouped). Since the beginning of the permanent RAC program in fiscal year (FY) 2010, contractors have recovered more than $313 million in overpayments. Most, if not all, hospitals are feeling the brunt of increased audits, says Karen Bowden, senior vice president of Craneware InSight in Needham, Mass. Record requests have skyrocketed over the past few months and particularly since medical necessity audits began. Many hospitals that received no requests in FY 2010 or perhaps only one-half of their total record limit now find themselves facing a barrage of requests involving their maximum record limits, she adds. “It’s an operations nightmare. Your number of requests could jump overnight and then you’re in a crisis. It’s going to have a significant impact on your workload if you go from 30 records every 45 days to 250,” says Kathy DeVault, RHIA, CCS, CCS-P, manager of professional practice resources for the AHIMA. Over time, the hope is that there will be a diminishing return for RACs as hospitals improve their documentation and coding processes, says Bowden. However, for now, RACs are reviewing historical claims data, and there’s generally a goldmine of errors waiting there for them, she adds. The good news is that the recently released CMS status document provides some insight into what issues pique the interest of RACs. The one-page document lists top overpayment issues per RAC for FY 2010 to March 2011 along with a brief description of each and its compliance implications. “All of these are fairly preventable errors with some stop-gap mechanisms,” says William Malm, ND, RN, CMAS, a healthcare consultant at Craneware. For example, ventilator support of 96+ hours is the top overpayment issue for Region A. According to the CMS, providers are improperly adding the number of ventilator hours, resulting in higher reimbursement. Bowden says RACs tend to be fairly successful at recouping money related to this issue because they are able to review documentation and verify the number of hours the patient spends on mechanical ventilation. When documentation reflects fewer than 96 hours, it’s a fairly straightforward denial, she adds. RACs may also simply screen—and deny—claims based on length of stay, says Bowden. For example, a patient who stays in the hospital for three days can’t possibly receive 96 hours of mechanical ventilation. Craneware is currently incorporating an edit into its bill scrubber to catch these types of glaring errors. The edit will prompt a coding validator to verify the number of ventilator hours for patients with a four- to five-day length of stay. When a coder reports 96+ hours of ventilation for a three-day (or shorter) length of stay, the edit would reject the code. Aside from incorporating edits, hospitals can strengthen compliance by taking a closer look at respiratory documentation that may not always be clear or consistent, says Malm. For example, in some hospitals, documentation related to ventilation hours and respiratory management is scattered throughout a patient’s record (eg, in the emergency department notes, unit flow sheets, nursing notes), making it difficult for coders to track the total time a patient receives mechanical ventilation, he adds. Too often, coders calculate ventilator hours based solely on physician progress notes and/or orders, which can also paint an incomplete picture, says Wilson. A hospital’s compliance policies and procedures should specify the precise location of this information in the record so coders know exactly where to find it, he adds. Coders should also review the extensive Coding Clinic guidance related to mechanical ventilation, says DeVault. For example, according to Coding Clinic, if a patient is placed on a T-piece, he or she is still considered intubated even though he or she may be disconnected from the ventilator. Another Coding Clinic fact that coders may overlook is that if a patient undergoes coronary bypass and is placed on mechanical ventilation directly afterward, the ventilation is not separately reportable unless the patient continues to receive it for more than 48 hours postsurgery. • 933, Extensive burns or full thickness burns with mechanical ventilation 96+ hrs without skin graft. • What is the volume of these DRGs? In general, volumes should be relatively low, says DeVault. “The larynx can only manage an endotracheal tube for so long, and patients usually aren’t on the ventilator for too long before they undergo a tracheotomy if the physician thinks it’s going to be long-term. So you shouldn’t see a high volume with these DRGs,” she says. • Is documentation of mechanical ventilation hours clear and consistent? • Does the hospital use a respiratory flow sheet and designate a specific place in the record where this information resides? • Do coders understand Coding Clinic guidelines related to mechanical ventilation? It’s important to monitor these DRGs regardless of your region, says DeVault. “There’s an opportunity for any organization regardless of who your RAC is to determine whether you’re doing this correctly. The DRG change [from fewer than 96 hours to 96+ hours] is significant, so you really want to make sure you’re doing it the right way,” she says. • 983, Extensive operating room procedure unrelated to principal diagnosis without CC/MCC. “The way that CMS writes this is that these DRGs should never occur. That’s not always true. That’s why these kinds of DRGs exist,” says Bowden. For example, a patient admitted for chest pain who falls out of bed and ends up needing a hip replacement would likely fall under one of these DRGs, she says. That’s because the hip replacement—an extensive operating room procedure—would be unrelated to the principal diagnosis of chest pain. Where coders can sometimes get into trouble is when they rely entirely on encoders that allow them to calculate hypothetical DRG scenarios. Coders use this information to choose the principal diagnosis that yields the highest-paying DRG, says Bowden. “A coding validator should look at 100% of these cases prebilling before the claim goes out the door just to make sure that someone didn’t use an optimizer in their DRG software to inappropriately assign an incorrect DRG,” she explains. “This second-level review can also help ensure that diagnoses are coded and sequenced appropriately, particularly when two or more diagnoses meet the definition of principal diagnosis—ie, the reason, after study, for the patient’s admission to the hospital,” says Wilson. This is a gray area in which many RACs have successfully recouped money, she notes. In Regions C and D, the top overpayment issue is the same: durable medical equipment, prosthetics, orthotics, and supplies (DMEPOS) provided during an inpatient stay. According to the CMS, suppliers are inappropriately receiving separate DMEPOS payment when the beneficiary is in a covered inpatient stay. Hospitals must include charges for DME on the inpatient claim when providing services related to the equipment. Therefore, hospitals play an important role in the DME billing process, says Malm. When a hospital generates an inpatient claim for which there is a surgical procedure requiring an orthotic or prosthetic—and there is no charge listed on the claim for that supply—a red flag should be raised, he says. “If there’s no charge on the claim, that should be an immediate clue that the hospital shouldn’t send the claim out. The hospital needs to work with the supplier to figure out who billed that DME. There’s still an onus on the hospital as well as the supplier,” Malm explains. Coders and coding managers can coordinate the effort internally by opening lines of communication with the materials management department, says DeVault. Inquire whether the chargemaster is set up correctly or whether it is based on misinformation provided by DME device representatives who don’t understand the intricacies of Medicare billing, she says. The fact that two of the four RACs have identified DMEPOS as a top issue is not surprising, says Malm. “DME is a known area of fraud and abuse. I would expect to see more DME action as RACs continue to find more and more money in that area,” he says. Additionally, he notes that the Department of Justice and other investigative bodies have put forth specific efforts to address fraud and abuse containment related to DME. On the other hand, Bowden was surprised to see DME atop the list. “I know it’s a real problem spot, but it did surprise me that it’s the No. 1 issue in both of these regions,” she says. “There seem to be bigger dollars and issues to go after.” However, she does agree that over time, DMEPOS audits could increase and perhaps become even more automated involving the CWF if they haven’t done so already. In general, hospitals can use the status document to direct RAC preparedness going forward; however, the reality is that they still face an uphill climb that is often specific to their own unique facilities, experts say. Despite the fact that the overall success rate for appeals has been high, many hospitals don’t invest the time and/or resources necessary to initiate the appeals process, says DeVault. Although not every denial may be fit for an appeal, hospitals shouldn’t just assume the RAC is correct, she adds. Bowden says hospitals do need to take a closer look at the types of cases they can’t appeal and why, as this is a good indicator of compliance risk. Meanwhile, coder education continues to be paramount as the RAC program grows, says Bowden. An overreliance on computerized coding tools and aids can be detrimental to coding compliance, particularly as it relates to optimizing DRGs, she adds. “One of the things that I’ve always been concerned about when I managed coders was their dependency on the coding tools. Sometimes they didn’t see when they got the wrong answer. They couldn’t identify that something didn’t make sense because you’re led down decision trees without being clear on what the question is,” Bowden says. 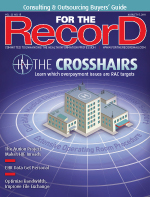 Hospitals should make it a top priority to invest in coder education as well as strengthen policies and procedures, says Malm, who anticipates the next big RAC movement to be related to quality of care as part of the value-based purchasing program.